Use 3 phyllo squares at a time - brush each one lightly with butter and place on top of each other not overlapping the corners. Push into the cavities of a muffin pan. 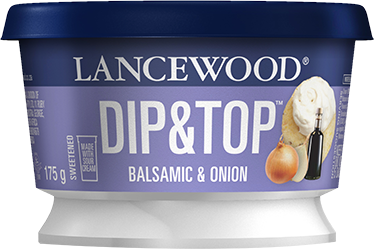 Beat the Dip & Top and eggs together. Season to taste and set aside. Heat the butter and fry the onion and mushrooms until soft and golden and all the liquid has evaporated. Add the thyme. Divide the mushroom mixture between the prepared phyllo cases. Divide the egg mixture between the phyllo cases. Bake in a preheated oven at 180 ◦C for 20 - 25 minutes or until golden and puffed. 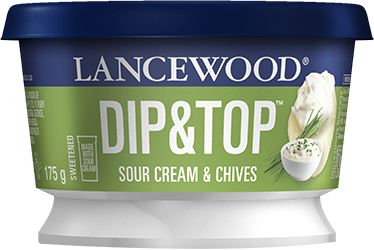 Try with any of the other LANCEWOOD® Dip & Top Flavors- Sour Cream & Chives, Biltong Flavored or Balsamic & Onion instead of Sweet Red Pepper. 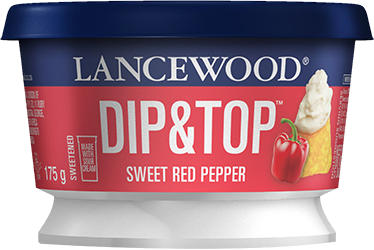 Also delicious as a light meal served with salad.